In this post, I am going to give my opinion on two coords featuring AP's Cream Cookie Collection as well as include my coord of the same print with my opinion on it. 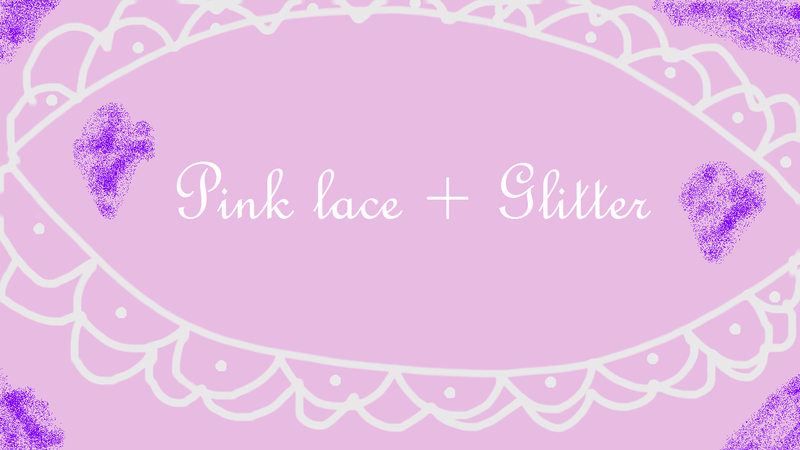 First is a coord from Ruban Rose. 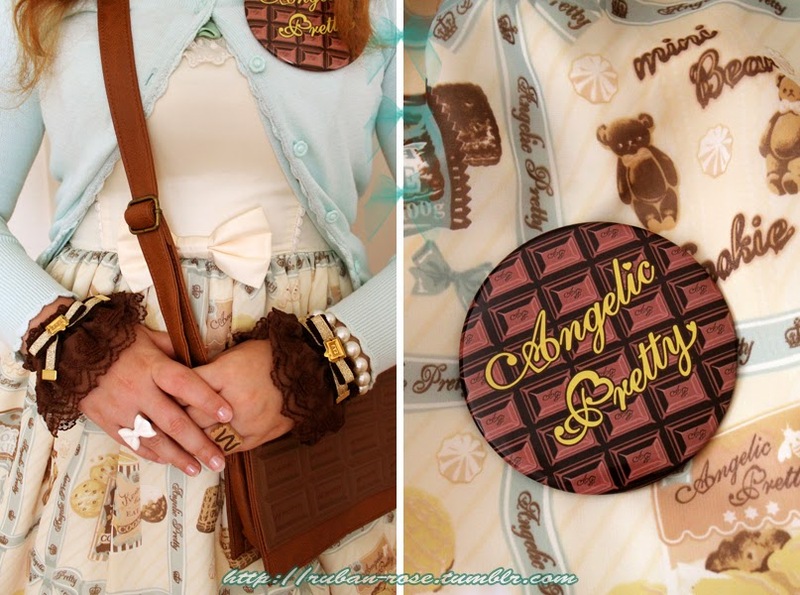 The use of chocolate accessories is a nice idea as it goes well with the chocolate based biscuits that are included in the print. The mint cardigan and hairbow are also nice touches because they emphasise the ribbon that creates a grid pattern on the print. Overall, this is a nice outfit that is simple and works well with the JSK by making it elegant and going towards the more classic side of the JSK. The next coord is one by SneezingBubble. It is OTT on the arms but works well by using the colours from the JSK. The beret does add a bit of classy-cute to the coord and the patterned tights do work well with the print. One thing that does make the JSK look nice without making it look like an undergarment peeking out is the multi tiered underskirt, which goes nicely with the frill hem on the JSK. This would be something that taller Lolitas could consider when wearing a too short item. Not that I need it (one advantage of being short) though. 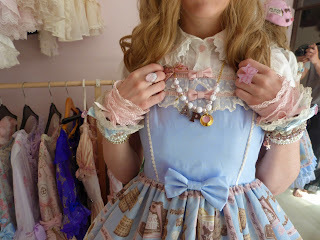 Overall, this is a lovely more ornate coord that is not too OTT. 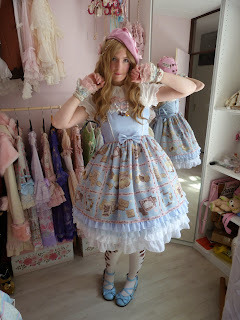 This is the only coord I have of Cream Cookie Collection (so far). It is a simple outfit but effective. While you can not see much of it, the flower bolero I used did suit the JSK ribbon grid design, the next coord I make would either include a blouse or an outer better suited to the theme of the print. 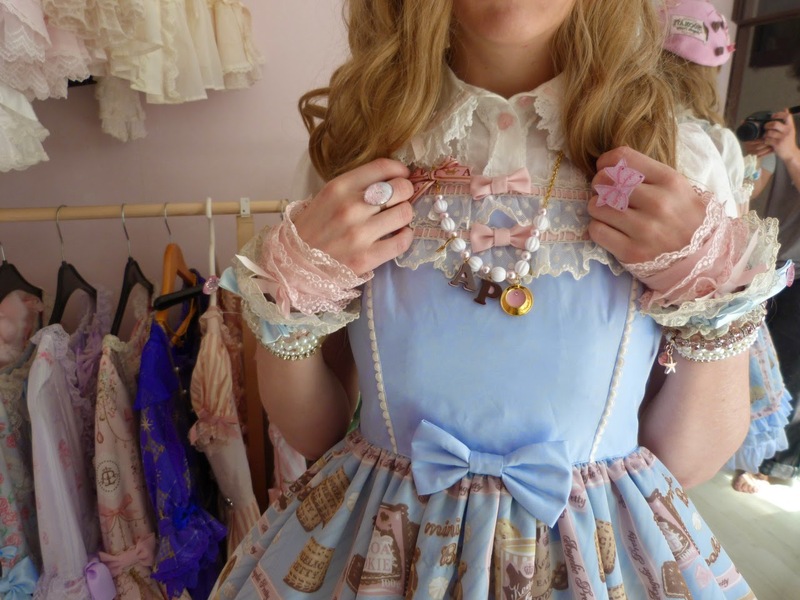 Also, I would consider adding bracelets/rings to the coord as well. However, I think this was a decent attempt at creating a coord without full access to my wardrobe (I was on holiday). If anyone has any other suggestions, feel free to comment. 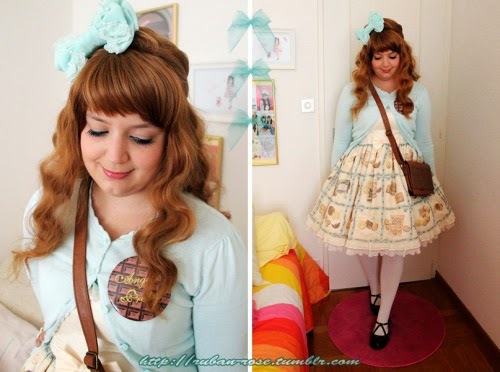 I wish I could see a better picture of you in that coord From what you described it sounds like a lovely and relatively thrifty outfit. I guess I would say from the picture, it looks like the white of the bolero stands out a bit much? But you still look elegant and lovely! Sorry about the quality of the picture but I will consider improving on that in the future. That was the coat I was wearing. The bolero is underneath. Thanks for the comment anyway.